We offer a wide range of Web Development, Mobile App Development and SEO Services. Savvy Infotech a unique and highly professional Web Development Company specialize in Advanced Web Development, Web Application Development, Outsource Website Development, Software Development Outsourcing, Custom Application Development, Outsourced Product Development, Web and Enterprise Portal Development, Business and Community Portal, PHP Web Development, E-Commerce Solutions, B2B and B2C Portal development and much more to help in your business growth. Mobile App Development is the helps you to target mobile users. We can help you to develop a successful mobile app to connect, communicate and keep your customers’ engagement through their mobile. Understanding what you want out of your ideas and how do you plan to implement it. We will Create a beautiful, affordable website design for your creative project. We will develop actual functionalities of your project. It is an important step which makes sure that your project works with efficiency all the time. Every minor detail has been taken care of. Clean, Modern Design Provided provided for my website. Excellent Service. One of the best company I have ever worked with. Code quality is excellent. I would like to work again for my up coming project. I have been working with Savvy from last 3 years without any worry. Savvy InfoTech is a Company which provides affordable and fast Web Solutions. Company provides creative innovations to clients according to their requirements. 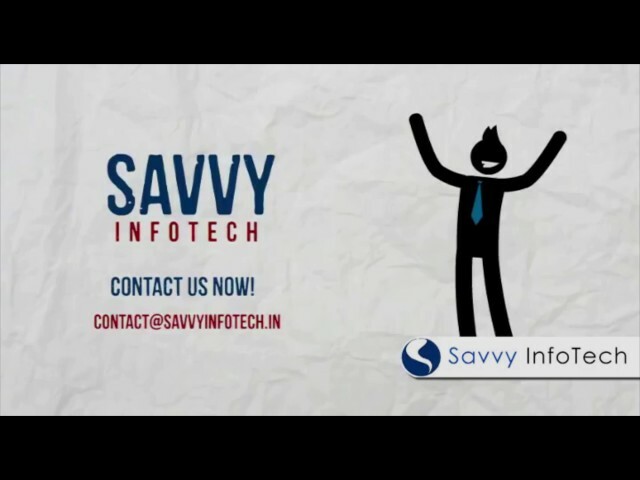 Savvy InfoTech is one of the fastest growing Company having employees of new Generation.